As we discussed in the first part of this blog, dental anxiety is common. However, individuals may face different issues depending on their personalities and past experiences. In the following 2 sections we will cover some specific fears and anxieties and look at ways of overcoming them. A big issue for many people is the feeling of loss of control when visiting the dentist. You may feel like you do not know what is going on in your mouth or that you are not able to have a say in what the dentist does. You may have had bad experiences in the past with a dentist who did not explain what they were doing or why. This may have given you the feeling that dentistry is something that “is done to you” rather than you being a partner in your dental care. As discussed in theprevious post – finding a good dentist who you can communicate well with is vital in overcoming anxiety. A good dentist will explain treatment options, along with risks and benefits in a way that you can understand. You may need to take some time to consider your options before agreeing to treatment. Dentists are required to obtain “informed consent” before treatment. Sometimes you may be asked to sign a consent form. 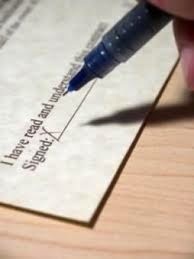 Only sign this if you feel you have enough information to agree to treatment – if not then ask questions. A good question to ask your dentist is what would they choose if it were their tooth or mouth. You should also know the likely consequences if you choose to have no treatment. Remember, you should be in control and always have a choice in your treatment.Similarly, a good dentist will explain what is involved in your treatment from your point of view, what sensations you are likely to feel and how to let them know if you want them to stop or take a break. Some dentists may ask you to raise your hand if you have any discomfort or need a break. This enables you to give a stop signal to your dentist when you are not able to talk easily without suddenly moving your head. Another option is to agree to take a break after an agreed number of minutes, this can be useful if you are afraid to interrupt the dentist while they are working. However, if you have any significant discomfort, don’t be afraid to raise your hand to let the dentist know. If you have a good relationship with a dentist you can trust they will stop and try to make you comfortable. Often, it is helpful if your dentist not only explains the procedure but also demonstrates any tools or materials before using them. This technique, called tell-show-do, is often used for children but can also be very beneficial for adults who are anxious. For example, you can feel the dental instrument on the back of your hand or your finger nail before it is used in your mouth so that you know what it feels like. As we discussed in the previous section of this blog, it is best to overcome anxieties one step at a time. You should become comfortable with having a check-up, or cleaning before moving onto longer or more complex procedures. Relaxation is important in this process. In the next section, we will also discuss some relaxation techniques. For some people with a dental phobia just the thought of lying in the dental chair can be terrifying. Lying down can make you feel exposed or vulnerable. It is often possible to do a check up with the dental chair upright, or even in a normal chair. 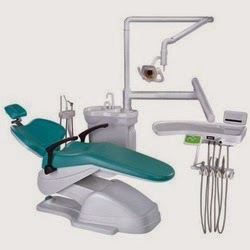 For treatment, you can ask your dentist if is possible to leave the chair in a more upright or semi-reclined position. For some procedures, especially if working on the back or top teeth, the dentist will need the chair to be more reclined but you can ask for this to be done gradually, so that you can get used to it. If you don’t like the feeling of being tipped back then you can ask for the chair to be put into the correct position before you sit or lie back. If you have a dental phobia you will probably have put off visiting the dentist even when you have pain or know that they need urgent treatment. This can lead to embarrassment and the feeling that you have the worst teeth the dentist has ever seen. You may also fear being “told off” or receiving a lecture from the dentist. You may also fear that you need a lot of extensive treatment. Dentists will have seen a wide variety of people and their mouths so it is unlikely that anything in your mouth shock them. These days, most dentists realise that scolding or lecturing their patients is counter-productive. A sympathetic dentist will understand how difficult it has been for you to visit a dentist after a long time and will want to work with you to overcome your fears and improve your oral health.Also, dentists should maintain confidentiality and not discuss your diagnosis or treatment in front of other patients or members of the public. You can ask to discuss your treatment in a private setting and have the door closed during treatment if this is an issue for you. In the next section we will look at more factors which can cause anxiety and techniques which can help.You can subscribe to the blog by email by using the link on the right.